Those applying for non-immigrant US visas for vacationing, business, medical tourism or some other temporary purpose need to be mindful of their plans for three months from the time they arrive in USA. 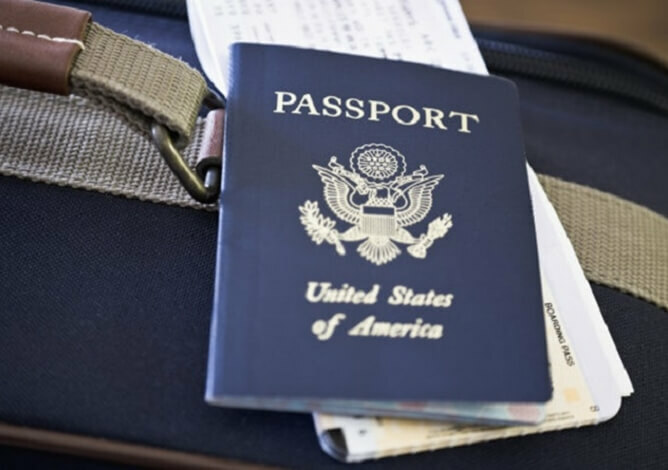 The US State Department has released the latest changes to the policy for US visitor visas, requiring foreign visitors to stick to the 3-month plans, which they state in the visa application form and mention during the interview with consular officers, upon arrival in USA. Even a little discrepancy between their purpose of visiting USA and what they actually do there in 3 months from the time of arrival will result in visa cancellation or denial of visa renewal. It may also put them on the radar of deportation from USA. The latest changes to the policy for US visitor visas (B1, B2) resulted from the pressing need to curb visa abuse and visa overstay by potential violators. Nearly 740,000 foreign visitors, including 30,000 Indians, were found overstaying their non-immigrant US visas in 2016, according to the Department of Homeland Security (DHS). Many foreigners tend to enter USA on the pretext of vacationing, honeymooning, business expos, medical treatment, cultural or culinary touring. Once they arrive in USA, they get involved in what absolutely differs from their pre-defined plans. The discrepancy between what they say while applying for US visitor visas and what they do after entering USA is considered a case of misrepresentation. The US Secretary of State, Rex Tillerson hints at possible cases of misrepresentation by foreign visitors. According to the latest changes to the rules of US visitor visas for non-immigrants, if you enter USA as a tourist and start working or enroll in some short-term course at a university (without proper authorization) within 90 days of your arrival, it will be considered a deliberate act to fraud the system. If you visit USA as a medical tourist or for a business purpose, fall in love, get married within 90 days of your entry, and seek lawful permanent residency (green card) in the US, it will be taken into account as a case of misrepresentation. Your visa may be cancelled, or you may be denied renewal of the US visitor visa. As per the previous rules for US visitor visas, change of plans in the first month of arrival in USA was considered a deliberate lie in one’s interview statement for the US visa application. Change of pre-stated plans even after 3 months of your arrival in USA won’t be deemed as a case of ‘willful misrepresentation,’ but it may create problems for you in the event of the changes to the US visitor visa policy. In 2016, the United States issued 10 million tourist visas including one million to visitors from India. About 17,763 Indian visitors overstayed their US visas in 2016. There are still an estimated 15,000 overstaying Indians on US visitor visas (B1 and B2). The changes to the DHS policy for US visitor visas for foreigners followed the addition of rigorous requirements for US visa applicants and the testing of advanced biometric systems at major US airports to keep a check on illegal immigration and visa overstay. However, the new rules for non-immigrant visitors do not apply to 38 countries including most of European nations and US allies like Japan, Australia and New Zealand. Unfortunately, India is not among these 38 countries.